What a beautiful day and how beautiful are the flowers on this wedding! We love the playfulness with which this couple organised their wedding day. Many people helped and added little details such as personalised suitcases for the kids with toys for them to play with. The decoration existed out of lace (and lots of it!) and burlap elements, garden roses and antique coloured carnations. Everything just fit perfectly in the settings of this castle and the fun attitude of the spouses and their guests made it easy for us to work with. 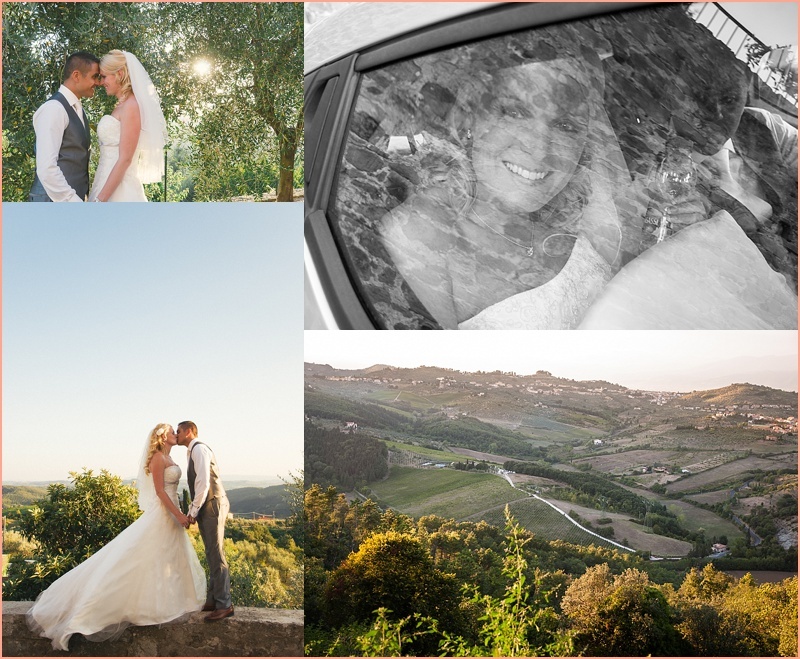 This wedding we did in collaboration with Silvia Bargagni from Magnolia Wedding Planner. I met up with her and the spouses a year ago and I instantly liked that they wanted bright yellow flowers. During the months of preparation Tracy changed a couple of things and played a lot with different ideas. 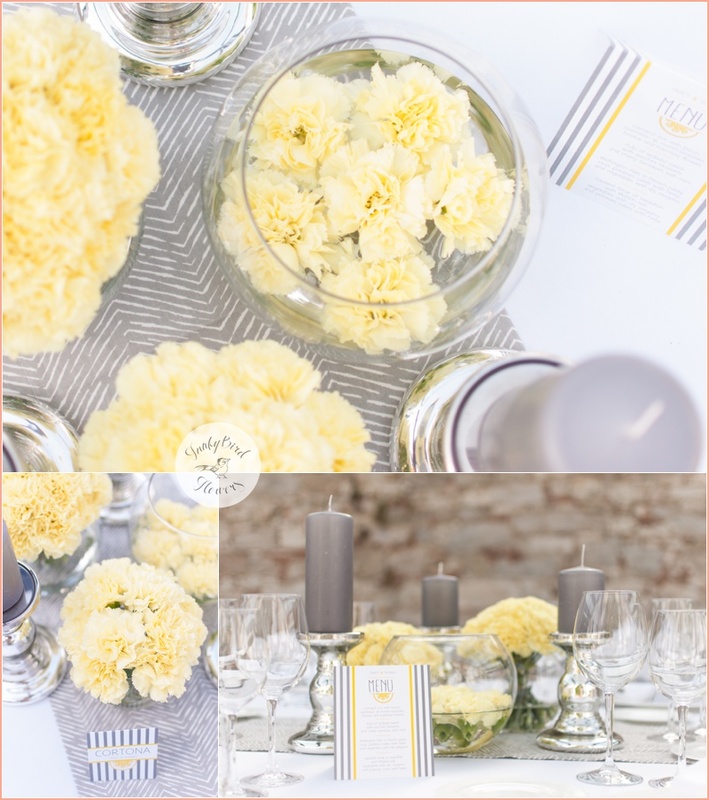 In the end every table had a different theme, but we kept the yellow/grey/white colour scheme. In doing so, all the decoration really fit well together. 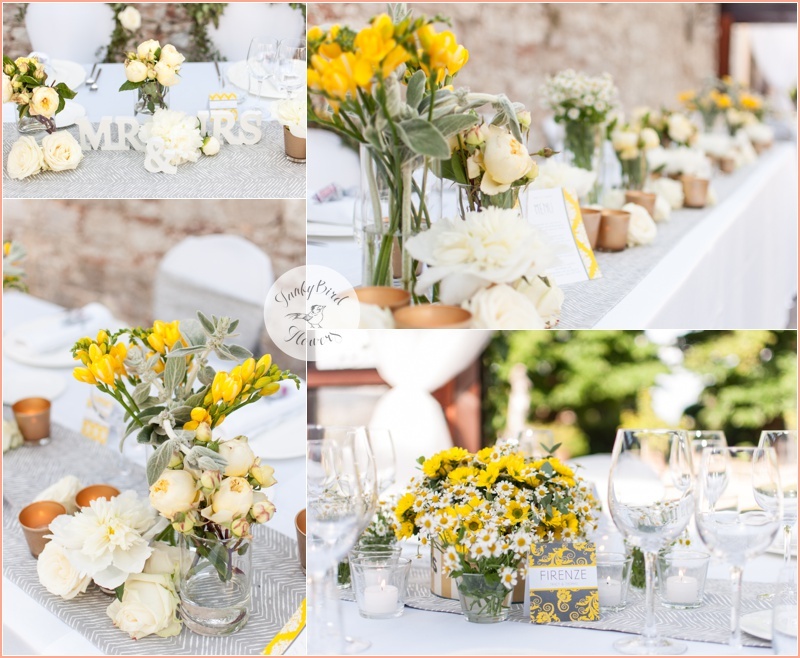 We used a variety of flowers such as Craspedia, Chamomile, Freesia, Garden roses, Carnations. 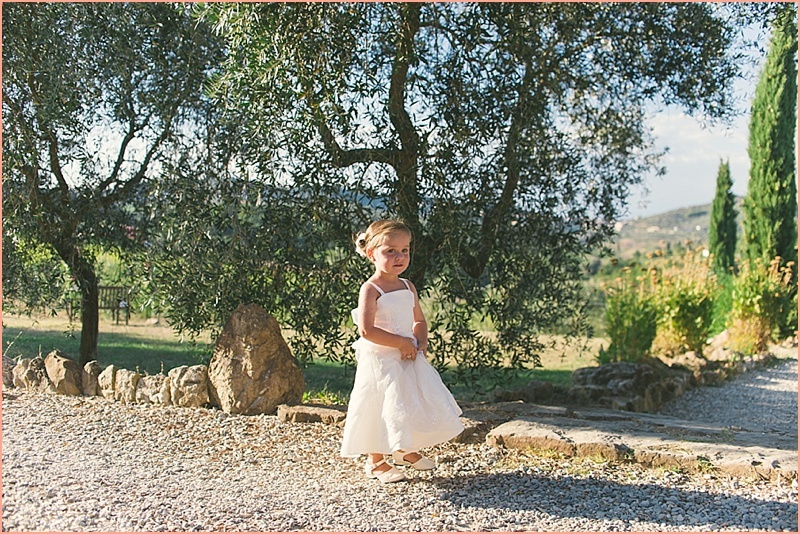 All set in a beautiful Villa near Lucca. From the Groom: Amazing and Perfect! Sonja you have a great creative and attentive eye everyone loved the setting and flowers. How to describe this amazing couple... exactly AMAZING! A mix of colourful people from different countries and cultures came together in Tuscany to celebrate one of the most fun weddings we've had the privilege of organising so far. The groom is part Italian part Indonesian and the bride 100% Dutch. Friends and family were Tropical, Croatian, Italian, Dutch and probably I'm forgetting some parts of the world. Right from the start their key-word was fun. They wanted everybody to gather in a big celebration and that is what happened. We will remember this day and all of the people with a lot of affection and wish the bride and groom a very happy life together!